Added one more certification in my list, its one of the known logic based certification, I was nervous when I was giving the certification, you need to have in depth knowledge of Sevice cloud implementation in Salesforce, its all about how a consultant can implement Service cloud at its best in Salesforce. Other then above you should have Call center knowledge, how to collaborate in between agents and why a consultant should recomment a call center for knowledge and article. Here is a tip sheet that can help. 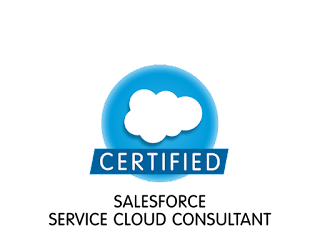 As I shared a video in Sales Cloud Certification blog, here is the another that will help you in Service Cloud Certification, other then these if you have partner portal access then please do watch Service cloud related videos in it. You can also go through the flashcard available on cram.com for practice. If you are done with all these then for sure you are gonna do well in the exam, all the very best. I have gone through your blog, it was very much useful for me and because of your blog, and also I gained many unknown information, kindly post more like this, Thank You. An effective blog for the people. Great job and thanks for giving such a useful blog. Very useful. Done a good work.